My friend, former boss, fellow Niger alum, triathlon coach, spinning instructor, and oh hey Ironwoman interviewed me on her blog “Carrie Regan Coaching” today! 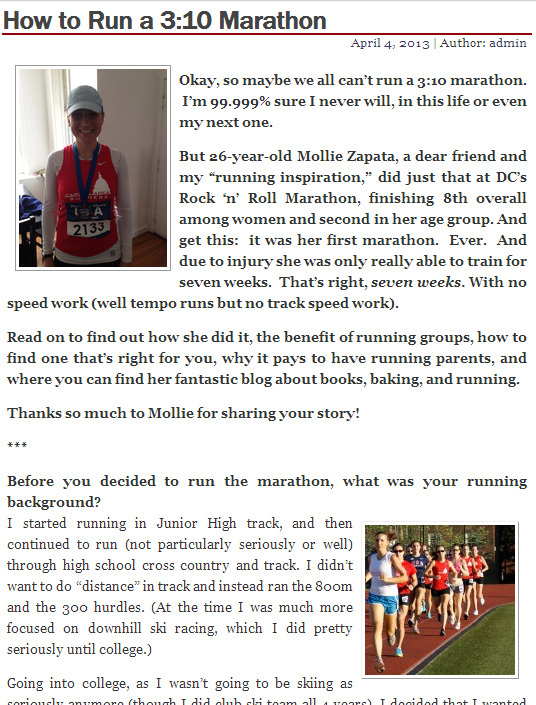 So go check it out and read allll the details on my running background, racing experiences, and marathon training. Thanks Carrie!